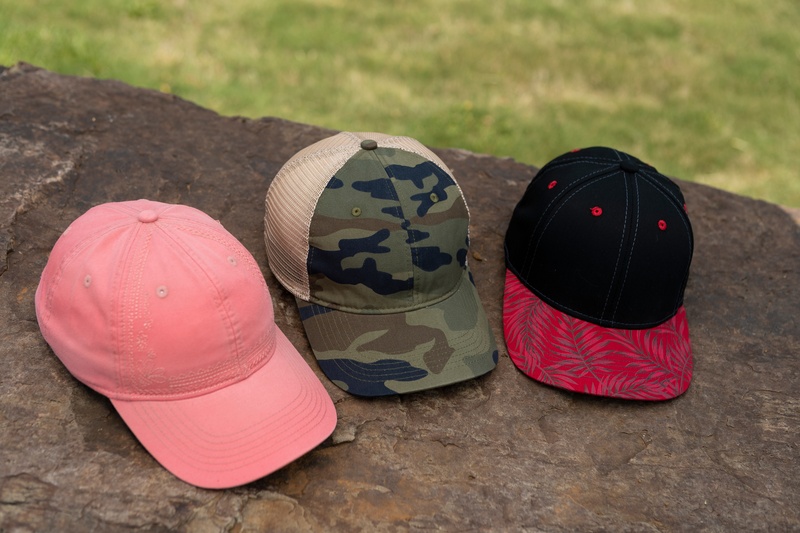 Today, we bring you Youth Hat Trends, the third article in the Spring/Summer 2019 style series. As we know, this season has three overarching trends. Check out our blog from the previous weeks where we covered women’s and men’s styles. Next week, we will go over athleisure headwear, so don’t forget to check back. For girls, you’ll see a lot of metallic leather, denims, and patches. Iridescent finishes are really popular as well as bling, emojis, and motivational taglines. Ethnic-inspired and nature-inspired patterns are common. You can also expect emojis, butterflies, florals, stars, and unique dyes. Some common elements for girls include unicorns, tigers, foods, sweets, sequins, foil print, and other bling embellishments. You’ll also see a lot of bold type designs, and ethnic-inspired art. You’ll see a lot of looks derived from adult headwear lines including heathered fabrics, circular graphics, stripes, and a lot of blues, navys, and greys. Palm patterns, ombre looks, and generic camouflages are going to be huge. You’ll also see a lot of sharks, dinosaurs, and pizza in all-over prints. We’re seeing a lot of tough graphics like skulls, sharks, dinosaurs, and other spunky animals. Extreme sports, mountains, UFOs, and pizza are also common motifs. You can expect both motivational and silly taglines. The trends for kids caps trends extend to toddlers as well. Boy’s hats consist of primary colors and neutral tones, girl’s hats use bright, happy pastels with an emphasis on shades of pink. You’ll see a lot of tropical and floral looks as well as polka dots, and foil print. Hats with animal ear embellishments (especially cats) are prevalent as well as other bling accents. Space is a very popular theme this season, but you can also expect to see sports, food, dinosaur, and other characters. Join us next week for the final blog in the A/W ’18 series where we’ll cover athleisure styles. Let us know what you think about the youth hat trends in the comments below. Don’t forget to follow us on Facebook, LinkedIn, and Twitter for updates.